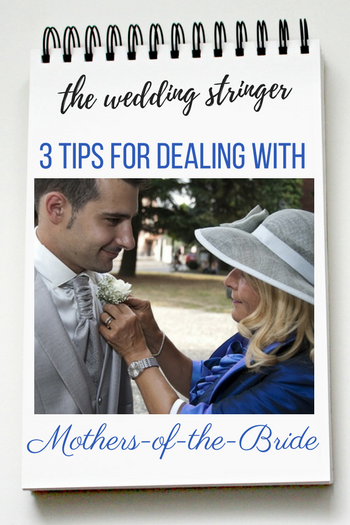 It’s not written about as often as it should be, but one of the dicier wild cards for wedding pros and their clients alike are the parents (usually the mother) of the bride and/or groom. How much authority and sway will she hold? If it’s not a lot, will she be okay with that? Is there a clear rift between mother and adult child? Is she a screechy, insufferable witch? I was thinking about this after reading this collection of mother-of-the-bride horror stories in this very British wedding rag, Perfect Wedding. My favorite story involves a mother who PHOTOCOPIED HER DAUGHTER’S WEDDING INVITE so she could invite people without her daughter’s knowledge or consent. That takes a prodigious amount of gall. Mum was very excited when I got engaged – so much so that she set up her own Pinterest board with ideas for my wedding (crazy, yes – but I was impressed with her computer skills!). Each time I saw her she had bought more and more random things for our day. Our house was full of table confetti, butterfly napkin rings and a LOT of pink. So kind, but not at all what we had in mind for our Glastonbury-themed day! Confetti, butterfly napkin rings, and pink for a Glastonbury-themed wedding?! My stars! (No, I don’t get it either). The good news is, there are things you can do to help ease the parental pressure on your clients, and they will love you for it – love you so much that there is sure to be great word-of-mouth windfall for you. Assert that you can only accept decisions from the bride and groom themselves. Sorry mom, but that’s my rule. Even if it’s secretly not. A lot of motherzillas will try to run roughshod over their kid’s weddings by blatantly asserting that they are the final decision makers. 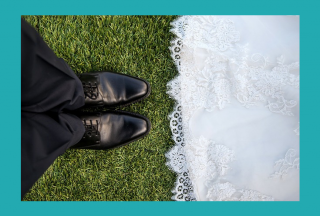 If you yourself calmly assert that you must get sign-off from the couple themselves – because they are ultimately your client, because you find that giving someone other than the couple final authority has a deleterious effect on the early days of marriage and your business – whatever. Make something up. Stand up for the bride and groom. For example, let’s say you’re a caterer, and the mother is going on and on about how mushroom croquettes are wildly unacceptable for the occasion. You can see the pain and discomfort in the bride’s eyes. After saying a private prayer for the bride, you can pull the mom aside and get her (perhaps ultimately meaningless) input on what sort of beverages to serve, for example. Doing something like that accomplishes two things: it makes the mom still feel important, and it gets her out of the bride’s hair. 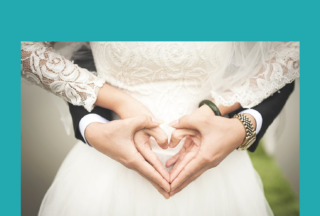 This is where you can use the social lubricant skills you’ve doubtlessly picked up as a wedding professional to know how you can help and what you should never say. If the bride (or groom) are at loggerheads with Mom, simply and articulately make it known that you hear the mother and her concerns but believe the bride is correct because of (x, y, z reason). If you never get heated, and if you repeat the mother’s concerns back to her so that she knows she is understood, that will go a long, long way in getting the mom to back down. 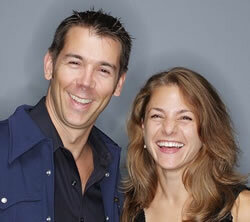 It will also go a long way in having your clients singing your praises from the rooftops. Do you have any tips for dealing with Moms? Well, we have to say that being based in London we don’t often have to deal with such difficulties. It’s always hard when people talk about politics or religion as they are subjects that are close to people’s hearts. Our advice… leave them at the door and have a fab day!